My interest in cooperation was present before I started investigating it in humans. The research on a cooperative breeder species, the common marmoset, made it clear to me that cooperation was not a straightforward phenomenon. Cooperators also competed with each other, and strived to gain advantage even in a group that depends on cooperation for its own survival. How should that happen in humans? Evolutionary theory offered, from my point of view, the best perspective to understand these apparently opposing behaviors. For many years, I looked at cooperation in children, using game theory as an instrument to gain some insights. An invitation to participate in a symposium on religious behavior inspired me to look at a behavior that often comes together with both cooperation and competition—group coalition. So, I used religion, or its absence, as the factor promoting cooperation. After almost 30 years studying cooperation, more than ten of them in humans, I believe I have unveiled some of the motives that lead both humans as well as marmosets to collaborate and to compete. 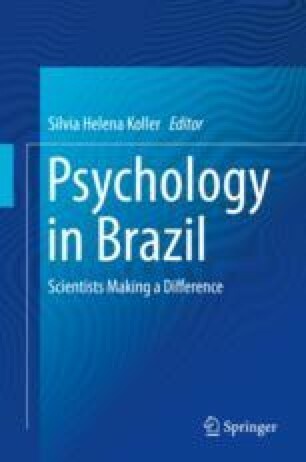 I have also contributed to bring a biological perspective into Brazilian Psychology, which I consider as my greatest achievement.